You can’t be guaranteed of the most competitive rate until you’ve got all the banks to quote. Let us source multiple quotes for you to compare. A prequalification certificate establishes your credit rating and gives you an accurate indication of how much you can afford. Armed with your certificate, you have a realistic idea of the property you can afford and proof that you are eligible for a home loan. 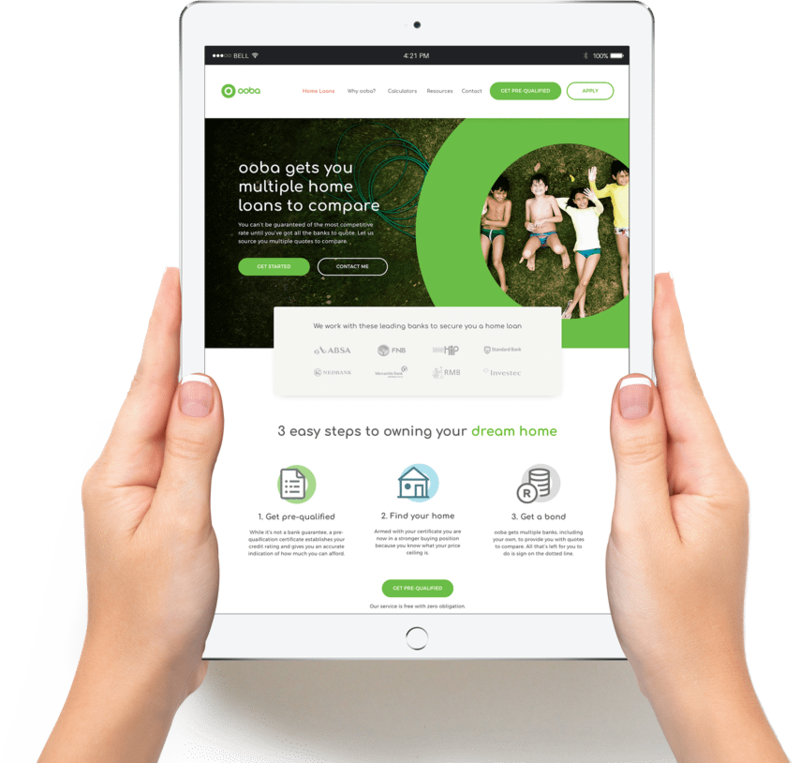 ooba gets multiple banks, including your own, to provide you with quotes to compare. All that’s left is for you to make a decision from the multiple quotes presented. Contact us directly to speak to an expert. Yes, all the major banks are offering 100% loans, subject to certain qualifying criteria being met. Why should I get prequalified? I have been prequalified, will the bank guarantee this money? While not an absolute guarantee, 85% of all home loan applications with a prequalification certificate are approved. What does a credit check include? A thorough analysis of your credit history, including your credit score which is determined by the frequency of payments of your retail accounts.